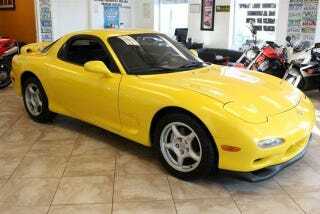 In my continued quest to see if I can find a car that makes me willing to ditch my 135is lease, I have found a used car dealership about 2.5 hours away from me that has multiple examples of low-mileage FD RX-7s, 300ZX TTs and MkIV Supras. Despite always liking these cars, I have very little experience driving them. I test drove an FD in like, 2004 or something. It was a while ago. I remember liking it but I need to reacquaint myself with it. A good friend of mine had a couple of different MkIV Supras, but the most I got to drive either of them was moving it around a parking lot when I was taking nice pictures of it for him. I have driven a 300ZX TT...never. A cousin of mine had an NA Z32 2-seater that he took me for a ride in, in like 1996 or something. I figure this is the perfect place to try all 3 cars, since the cars this dealer has are all very low miles and appear to be in really good shape. So I'll be able to get a baseline idea of what each is supposed to feel like. Should be a very enlightening trip.